To inspire, encourage and support children to create and innovate with technology, SAP is growing its Young ICT Explorers program in A/NZ. The program for 2016 will see the competition expand to seven states and territories in Australia, with the addition of South Australia. 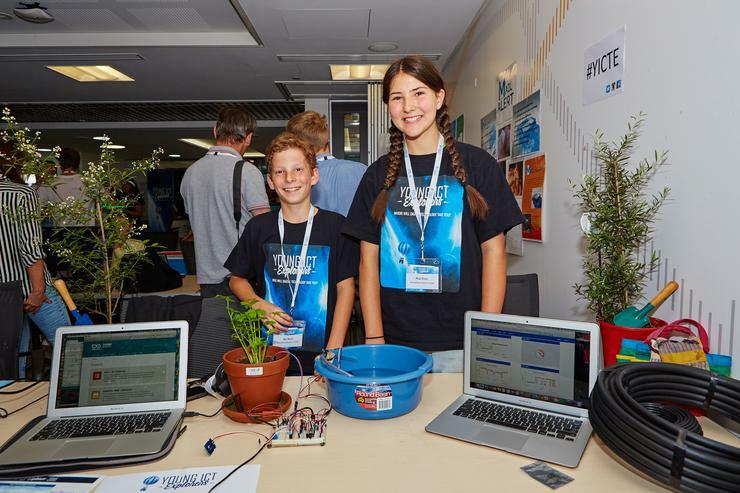 Additionally, for the first time in the competition’s seven-year history, Young ICT Explorers is heading to New Zealand, with Auckland set to host a local event. In total, nine competitions will be held across A/NZ – across New South Wales, Victoria, Australian Capital Territory, Tasmania, Queensland, Western Australia, South Australia and New Zealand. SAP will host the Australian-based competitions with longstanding partner Digital Careers. SAP A/NZ president and managing director, John Ruthven, said the number of organisations supporting the program has also grown, demonstrating the increasing industry focus and commitment to improving ICT skills among A/NZ’s youth. Specifically, The Discovery Channel, the Australian Information Industry Association (AIIA), Symantec, CompTIA, Fujitsu and Soltius have joined Digital Careers. Ruthven said he hopes the expansion will address the glaring paradox between youth unemployment and the digital skills shortage. “It’s rare two problems can become each other’s solution, but bridging the ICT skills gap is an effective way to resolving youth unemployment and equipping organisations with the digital-ready workforces they need to be competitive today and into the future. “While great gains have been made in rallying interest in boosting STEM skills, there is still much work to do. Finding the right talent, for example, is one of the greatest barriers in the region to global competitiveness,” he said. He added that through Young ICT Explorers in 2016, SAP is calling on industry, government and academia to join forces and drive the required change. “Developing ICT skills is not the responsibility of a single organisation, but of businesses of all industries and sizes,” Ruthven mentioned. The SAP Young ICT Explorers competition also runs in partnership with universities including University of Queensland, University of New South Wales, Deakin, The University of Tasmania, Edith Cowan University, James Cook University and the Australian National University. The projects will be judged by industry professionals and academics and each project is assessed on the criteria of creativity, uniqueness, quality, level of difficulty and project documentation. 2015 saw 874 students present 371 projects, and SAP aims to up the ante this year. The first of the competitions will be held in Deakin University, Melbourne on August 6. Registrations are now open and available online for teachers and parents to register students from years three to 12 for venues across the country.